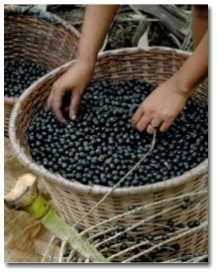 Richest Source of Anthocyanins: The Maqui Berry is known to have highest levels of a powerful fat-burning nutrient called anthocyanins of any food on earth. 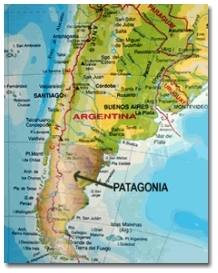 In fact, it contains over 10 times more anthocyanins than any other food source. 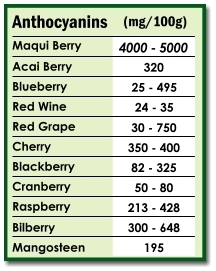 Potent Weight Loss Properties: Clinical research shows anthocyanins have remarkable weight loss and fat-burning properties. 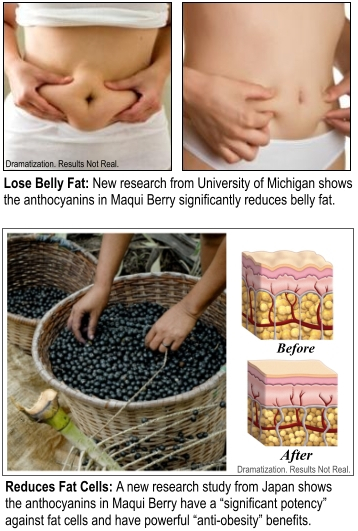 A new study from Japan shows anthocyanins have "significant potentcy" against fat cells and strong "anti-obesity" benefits. 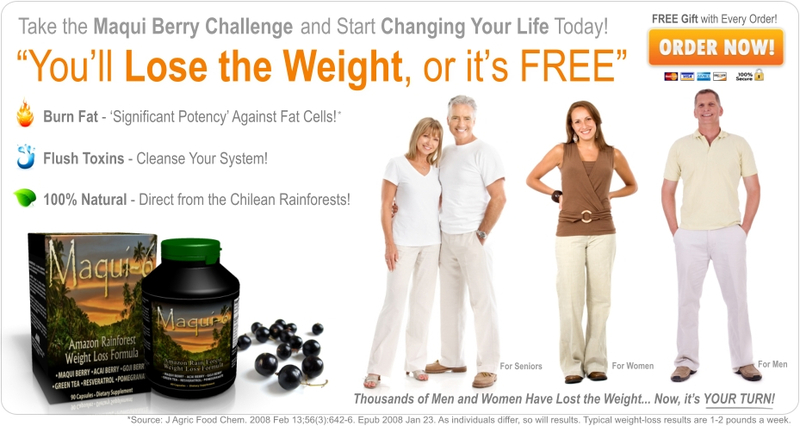 *The statements made on our websites have not been evaluated by the FDA (U.S. Food & Drug Administration). This product is not intended to diagnose, cure or prevent any disease. The information provided by this website or this company is not a substitute for a face-to-face consultation with your health care professional and should not be construed as individual medical advice. Please consult your health care professional before beginning any weight loss or exercise program. 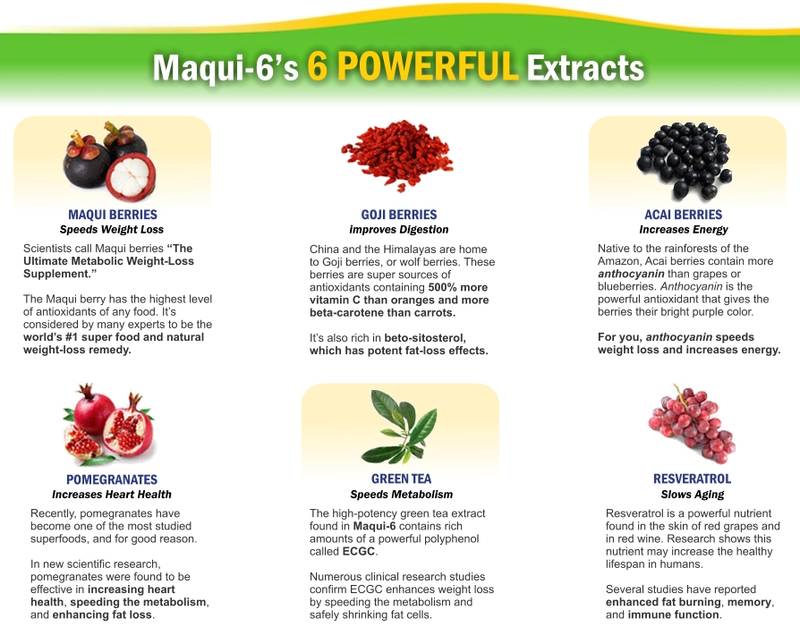 Maqui-6 is an all natural dietary supplement for use as a weight loss aid. 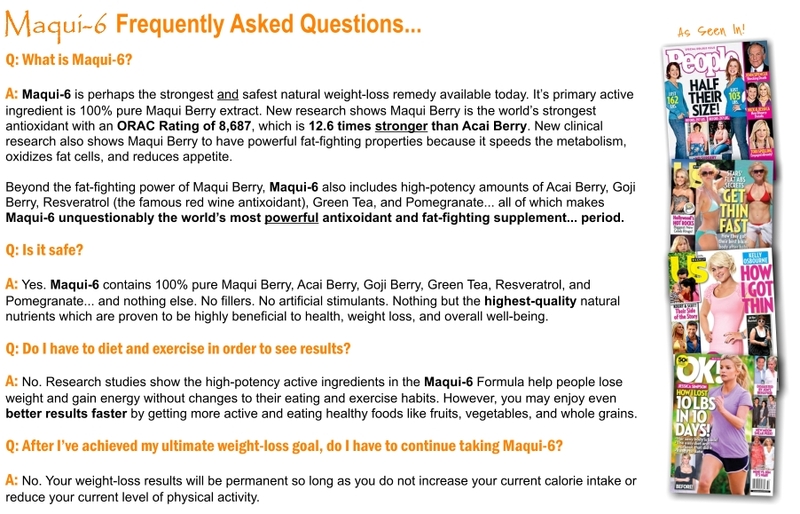 The Maqui-6 Plan is an online program developed by weight management researchers who understand that an effective solution for weight loss includes a reduced-calorie diet and activity plan for a healthy lifestyle. The testimonials on this website are individual cases and do not guarantee that you will get the same results. 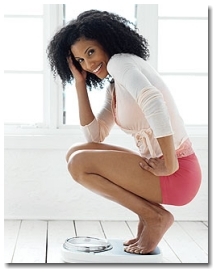 Typical weight loss results are 1-2 pounds per week. Individuals are remunerated.